Longboards have to be made of quality materials so as to withstand the test of time. However, the durability and quality of craftsmanship isn’t everything when it comes to picking the perfect model. The ‘cool’ factor might matter more, especially if you aren’t likely to use longboard when you’re forty. We’ve selected some of the neatest looking choices we were able to track down. Check them out if you have the time. 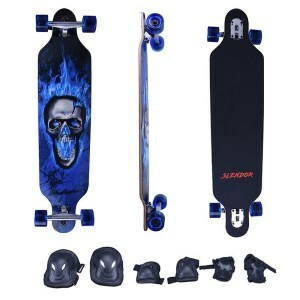 This longboard is perfect to learn how to skate or how to do complicated tricks to impress your friends. And this model has that wow factor you want. It doesn’t matter if you’re a boy or a girl, the design and the colors are perfect for both and they are a pleasure to look at. The product is made from a bamboo and maple mix so that the product will resist even to extreme skateboarding session. It makes it sturdy and light so you can carry it everywhere. For extra maneuvering capabilities, it features gliding reverse kingpin trucks and durable wheels that can reach the highest speeds. Longboards have to be cool. And this product offers just that: a design that will stand out in a crowd. The skateboard has a slightly concave surface to improve the speed and to ensure it sits firmly under your feet. It is made from maple wood and has vibrant colors that won’t fade in time. It comes with a Topmount aluminum truck for a smooth ride on uneven surfaces, and the wheels can take any speed you want, and they will resist. The model offers excellent control and a premium quality that will transform it in your everyday companion after a dull day at school. 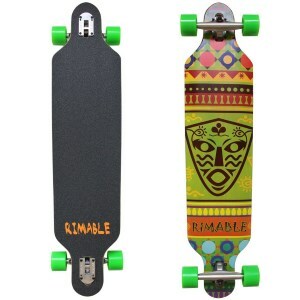 Rimable offers a product that has an interesting tribal illustration on it and colors that are going to make you feel happy when you’re using it. This longboard has a shape that defies air friction and gives it exceptional speeds and makes it easier for you to execute tricks. It’s made from full ply maple and uses an aluminum truck and high-quality wheels so you have a premium product that will stand the test of time. The skateboard is capable of very flexible movements, and you can change your direction with ease. You can take it for a long ride, and the product is not going to scratch. This skateboard comes with an image on it that is going to make you feel both nostalgic and comfortable. It is made from ply maple and on top it features a black grip so your feet won’t sleep when you do complicated schemes. It has aluminum trucks and wheels that make this product strong and resistant even when used on uneven surfaces. And the product is ready to use since it is delivered in one piece, so you won’t have to waste time assembling it. It can be great for personal use or as a thoughtful gift for a young person above the age of 9. What’s better than a quality skateboard? One that comes with a skull design that screams awesome! This product is loud, colorful and young. It has a blue skull on the bottom, printed with colors that won’t fade in time and a hard black surface that allows for a firm foothold. This is the perfect choice if you want a product that is resistant even if you drop it from a high place and a product that can change direction with ease. It’s made from ply maple, and it has an aluminum truck, features that make this product premium. And if you want a bonus, it features additional protection for downhill rides. Skateboarding has become more and more popular with both boys and girls all across the world. The amount of adrenaline, as well as the numerous tricks you can achieve on a skateboard are the main reasons why more and more people decide to give it a try. There are also innumerable national and international competitions and championships gathering not only the most talented skaters but also newcomers who want to make a statement. And while you do require intense physical training and appropriate equipment, the most important piece is, by far, the longboard. 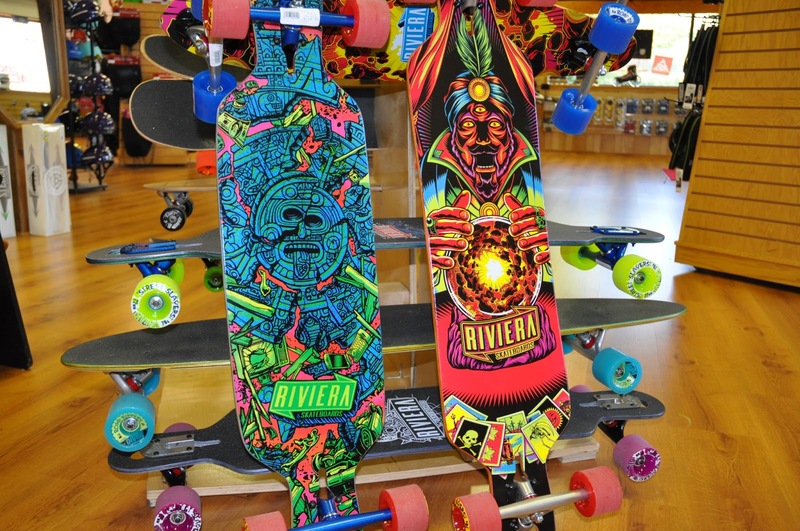 They come in various sizes, shapes, and have various features; some can be used in multiple situations, unlike regular skateboards. Thus, finding the right longboard could prove a bit tricky, especially if you’re a newbie and don’t know too much about this sport. Luckily for you, we came up with a comprehensive buying guide comprising everything you need to know about longboards, and how to pick up the perfect one for your surfing style. We also reviewed some of the top choices in the field to offer you reliable alternatives, no matter your type of boarding or length required. 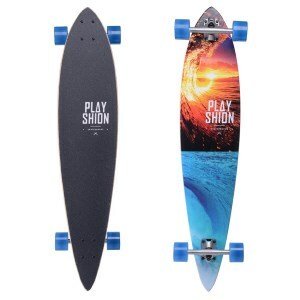 As previously mentioned, in order to find a suitable longboard, you first need to identify your personal style and what you expect from such a transportation mean. Different styles of longboarding obviously require a different set of skills and different types of longboards. If you are not really sure about the type of style is the most suitable for you, we suggest you stick to the original “cruising” one, combining both long-term distances with a few tricks. Only after mastering the cruising style can you decide to pick up new longboarding styles such as freestyling, freeriding, or downhill longboarding. Freestyling is pretty easy to describe – you will be doing a lot of schemes and tricks for the admiration of the crowd. Freestyling is mainly focused on doing perfect tricks rather than going for long distances. Freeriding is the most known hybrid, combining the need to go for long distances with a bit of thrill. It incorporates more hills and technical maneuvers and should mainly be taught by a specialist. Obviously, the most complicated type of longboarding is the downhill one consisting of high speeds and extremely precise maneuvers. Needless to say, this is also the most dangerous type of longboarding and it may take years of practice before handling it accordingly. Choosing the perfect shape of your longboard could prove a bit overwhelming, especially with the multitude of available designs. The most popular types of longboards are: pintail, bamboo, drop down, drop through, and cruising. 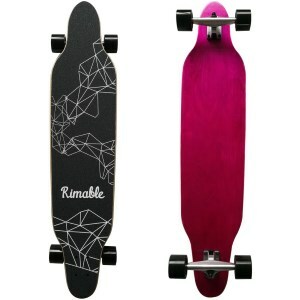 Obviously, each shape corresponds to one or more different styles of longboarding, thus you must choose accordingly. Beginners should stick to the cruiser option before learning how to properly balance the power, the body, and the wheels. 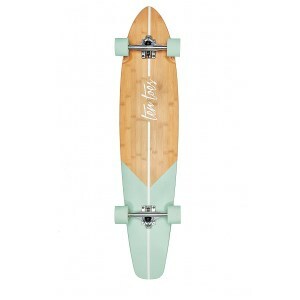 The cruiser style best fits with the following shapes of the board: bamboo, cruiser, commuter, and pintail. The drop through and drop down longboarding shapes are usually used for freestyling and free riding, thus they are a tad more difficult to properly control. Last but not least, the most appropriate shapes for the downhill style are cruisers, top mounts, and speed boards. The next crucial components to look after in a good longboard are the width and the length of the product. As a general rule, the width of the longboard should at least be equal to your shoe size, although we do recommend choosing a larger width for more stability. The length of the board is also extremely important, so make sure you choose the right one. Your height, age, and longboarding skills should be the main three factors when considering the length of the proper longboard. Longer longboards are suitable for tall people because they offer more stability. On the other side, shorter people or small children should mainly focus on shorter boards. However, if you have an average or below average height and still decide to go for a longer longboard, you will benefit more by actually scaling back. The midsize boards are generally the safest and most versatile types of longboards, suitable for beginners or safe riders. These are also very important whenever deciding upon a model of a longboard. Again, depending on your style of boarding you may require a different set of wheels, in different sizes and widths. The wheels should come with excellent rolling capabilities and easily slide at each of your moves. If the wheels don’t move as expected, you will be putting in a lot of effort just to travel a few meters. Make sure to test the rolling capabilities of the wheels before purchasing any item. On the other hand, a good pair of wheels will listen to your every move and will take you far away with a single kick. Last but not least, whenever searching for a longboard you should also consider the material from which it is made. Most regular longboards are made from maple wood which is strong and durable, just the way it should be. However, there are numerous other materials you could choose from, including bamboo, fiberglass, and even carbon fiber. You could opt for a longboard made from bamboo with incredible palm tree back design and a clean cut. The combination of bamboo and maple offers incredibly superior finish and an overall luxurious look. When it comes to costs, a regular longboard for beginners should cost you around one hundred dollars. However, depending on the materials, the type of wheels, dimension and other details, a customized longboard could end up costing several hundreds of dollars. We do encourage you to explore as many options as possible, but try to keep in mind your real level of expertise. Also, no matter how advanced you are in doing spectacular tricks or whether you are trying longboarding for the first time, safety is always paramount. Don’t forget to wear a protective helmet, as well as good-quality protection for your knees.